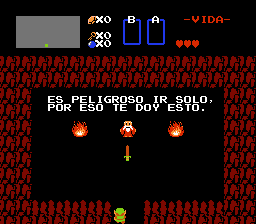 This is a complete translation of The Legend of Zelda into European Spanish. 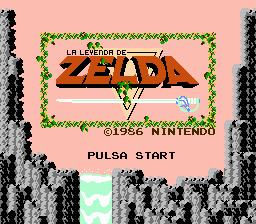 Every line of text in the game has been translated, including the title screen and the credits. A balance has been kept between translating more faithfully and making the lines easier to read. 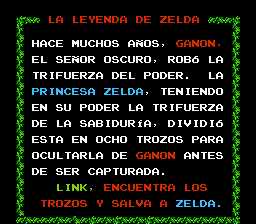 There were some constraints when it came to number of characters (specially in the “All of treasures” roll) but the playable experience should be as close to the original as possible. Please enjoy it! 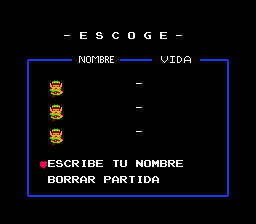 And if you wish to contact me for any reason, my email and my Twitter account are included in the readme. 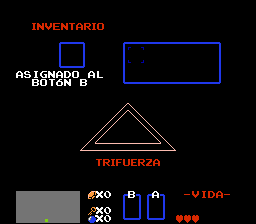 As of version 1.2, some graphical bugs have been fixed and a mistake in the tile screen has been corrected.